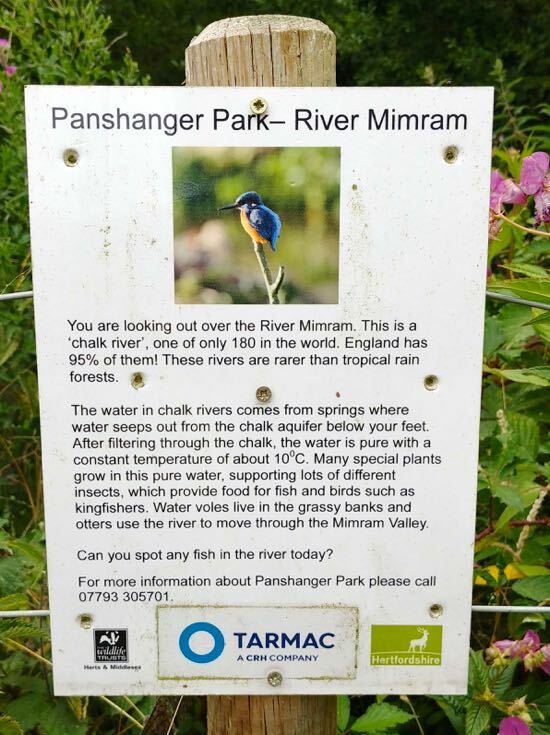 A great amount of effort has been put into the development of Panshanger Park, once a series of quarries but now a beautiful nature reserve with the River Mimram - one of only 180 chalk rivers in the world - running through the site. 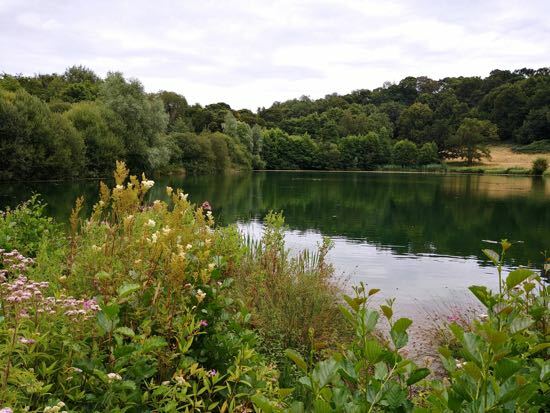 There are several picturesque lakes, well sign-posted woodland trails, a free car park, and an area for picnics. The area is popular with dog walkers, especially at the weekend. The majority are responsible and clear up after their pets, but the area close to the car park can be a bit of a dog mess mine field at times. 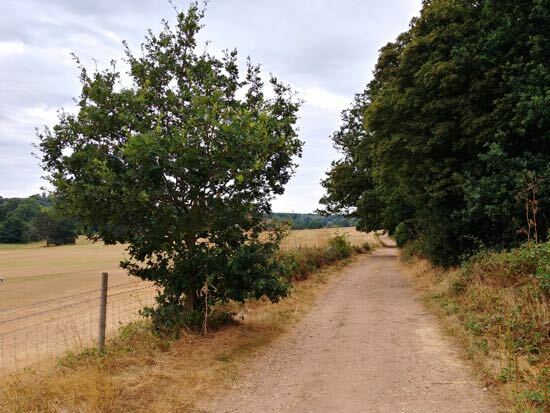 Please don't be put off by any concerns about noise from the A414; Panshanger Park is so absorbing that you will soon forget about it. There are two points when the tracks meander close to the road, but you soon move away and totally forget about cars. 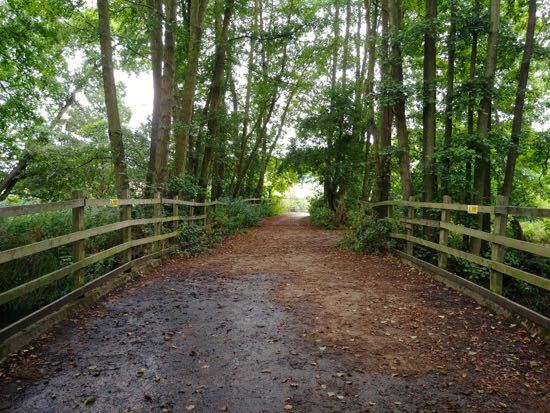 1: Park in the car park and head north-west into the woodland, ignoring the gate on your left and, instead, taking the path that heads north. 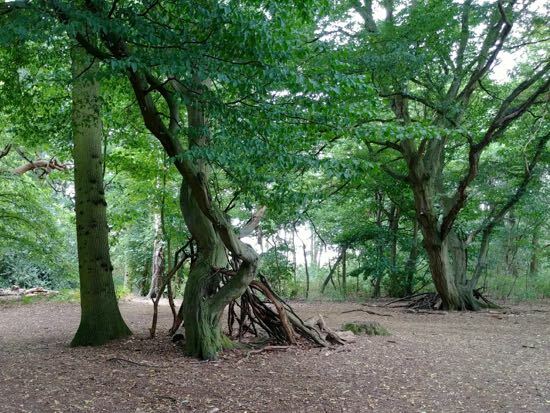 2: When you come to a fork, take the right turn and head north through Blakemore Wood. Follow the path on the eastern edge of the wood until you reach the northern edge where the path turns left and heads east. 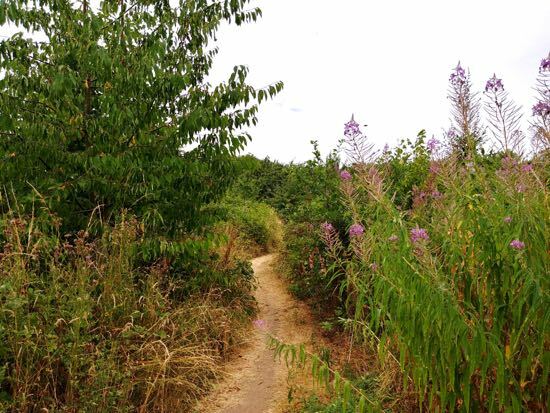 3: Walk to the right of a clump of trees (see image below), and take the sandy path heading north as it leaves the wood and weaves its way through long grass and flowers until you reach the northern exit of the reserve. 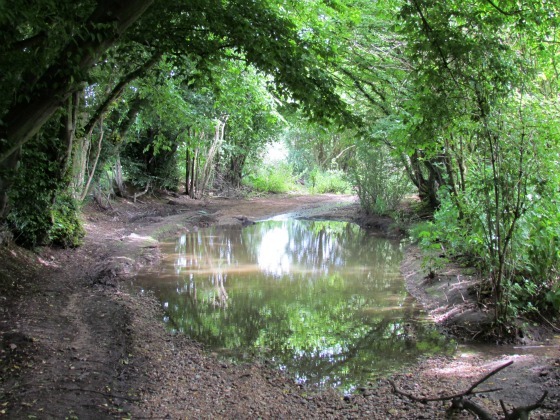 Turn left and, staying in the reserve, walk east along a permissive path that runs to the left of the hedgerow. Continue along this path as it bends left and heads south to follow the edge of Evergreen Wood. Still following the edge of the wood the path then turns left again to head south-east before turning right to head south. It then turns right and heads west, now following the southern edge of Evergreen Wood. 4: When you arrive at a footpath T-junction turn left and head south to another footpath T-junction. Here you have a good view over to Osprey Lake to the south. 5: Turn right at this footpath T-junction and continue east. Look out for an amazing old oak tree on your right. 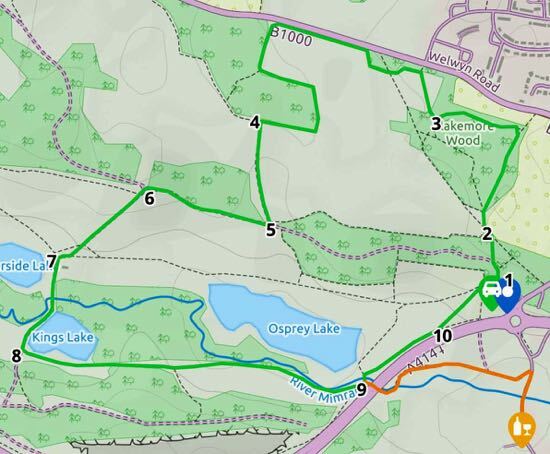 This is point 16 in our longer Panshanger walk, Walk 80: Panshanger Park Long Loop 4.75 miles. 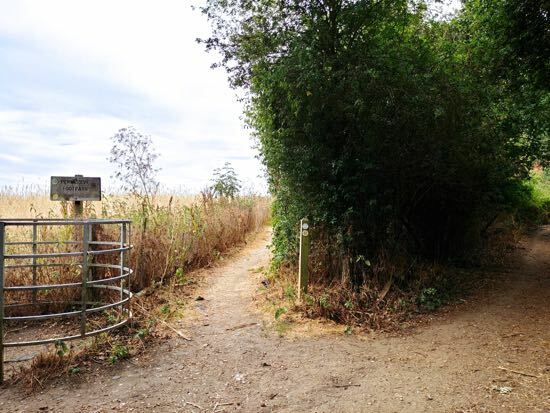 6: When you reach a metal gate on your left go through and head south until you reach another gate on your right taking you through to Riverside Lake and the Oak Trail. 7: Turn left before you get to Riverside Lake and, keeping the lake on your right and the cottage on your left, follow the path as it drops down to a view point and bench by Kings Lake. 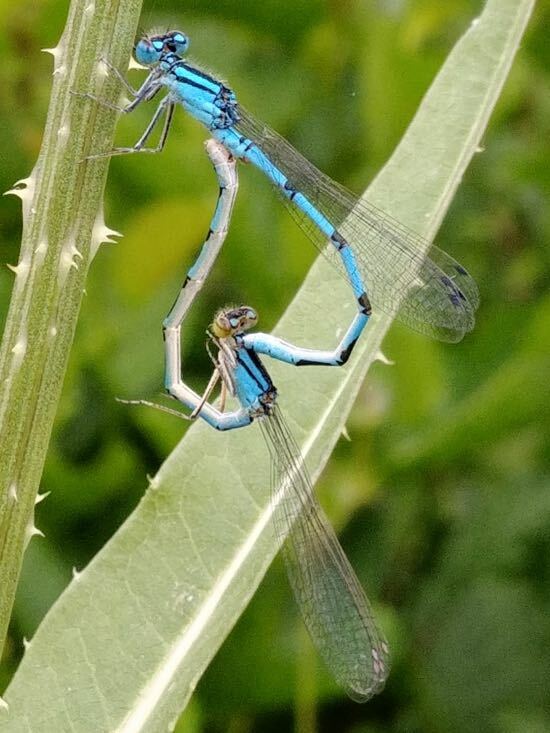 It's worth stopping here to observe the butterflies and dragonflies and damselflies that frequent this area. 8: Turn left after Kings Lake and follow the path that is closest to the southern edge of Kings Lake. Head east along this path looking out for a pebble beach on your left where you can paddle in the water of the River Mimram. 9: When you reach a metal gate, go through and continue along the path until you reach an underpass on your right. Here you turn left, cross a bridge (you might see crayfish below), and then turn right heading north-east. After the second wooden footbridge look out for a metal gate on your left. 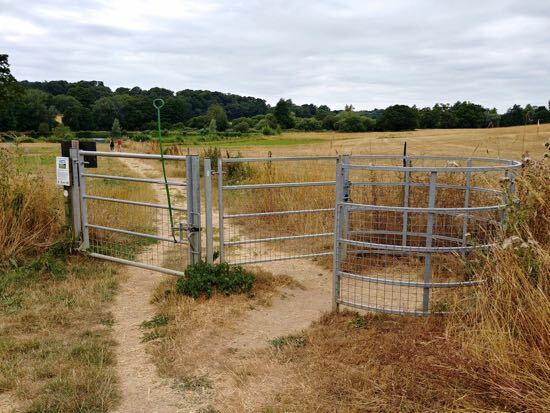 10: Go through this gate and head diagonally north-east across the field until you reach the car park. If you liked this walk you might enjoy a longer loop in the same park. 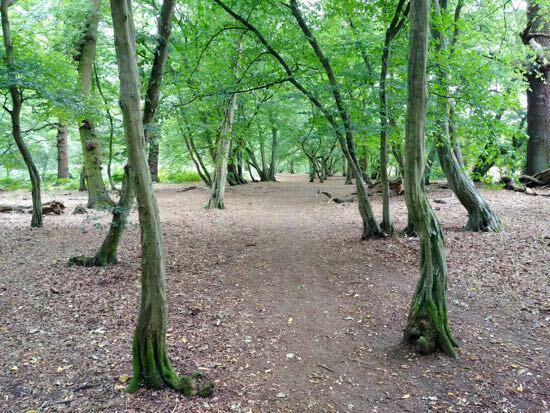 If so, try Walk 80: Panshanger Park Long Loop, which is just short of five miles. 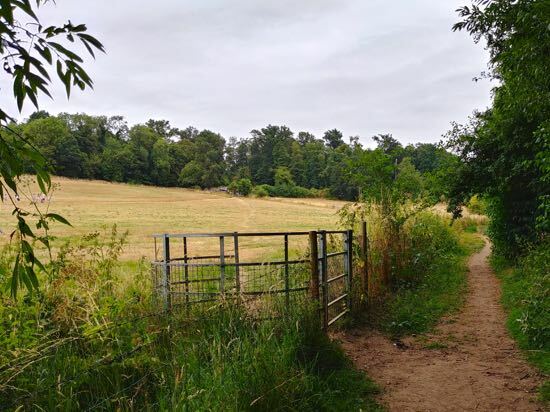 Note: Panshanger Park is a 1,000 acre site owned by Tarmac and managed by Herts County Council and the Herts and Middlesex Wildlife Trust for the benefit of both people and wildlife. Those with smartphones or tablets can take advantage of the interactive map below. 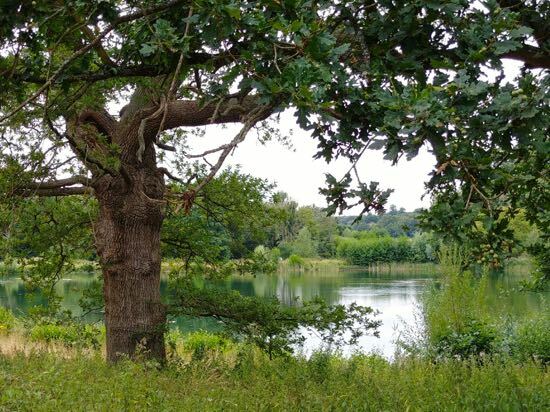 "Owned by the Cowper family from the late 17th century to the early 20th century, the Panshanger Estate was shaped around the Mimram Valley following advice from Humphry Repton and Lancelot 'Capability' Brown. 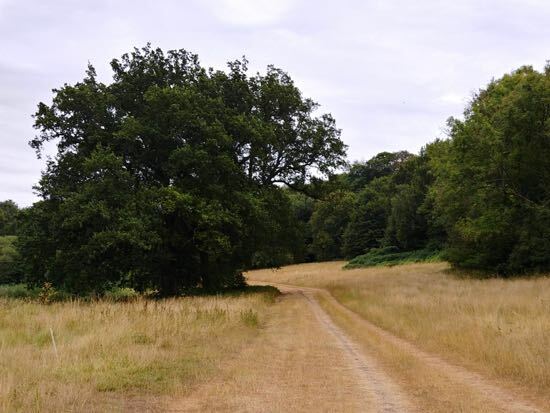 Panshanger Park is registered as a Grade: II* park and garden by Historic England. 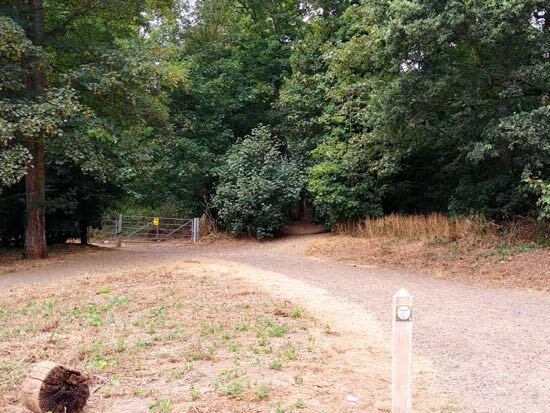 More recently since the 1980s, the park has been owned by Tarmac and parts have been quarried for sand and gravel. 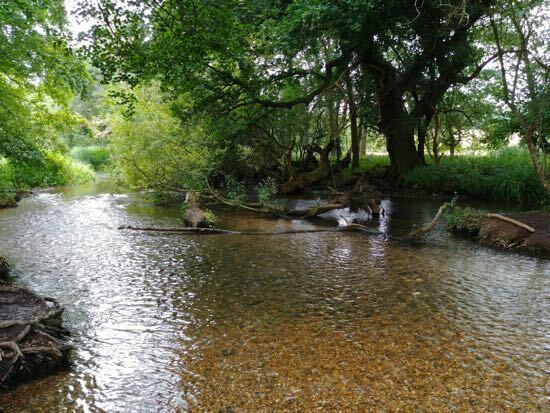 Much of the site has now been restored to arable farming and a range of valuable wildlife habitats including a new section of chalk river and a number of lakes. The park opened to the public on 31 March 2014 and comprises a country park and nature reserve. More of the site will be opened up in a series of carefully managed phases as the remaining extraction processes on site come to an end."